The quality and performance of our Tungsten Alloy Defense Products is appreciated in all areas of applications such as construction industry, electronic industry, machinery, mining and national tungsten alloy defense sector. These are available in bulk and in two types such as cemented carbide and high density. Owing to implementation of latest defense technology in the domain of thin-walled guided help us in delivering excellence. We are producing high density products for military application, scientific research and national defense. Owing to the finest quality Tungsten Alloy Defense Products, we receive appreciation from Indian and global markets. Our offered Tungsten Alloy Defense Products have wide usages in machinery, electronic industry, mining, construction industry and national tungsten alloy defense industry. These are available in two types viz. 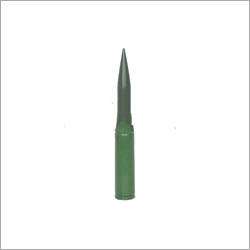 High density tungsten alloy defense and cemented carbide, each is designed with an independent intellectual property.